Sep 14, 2018 | Why Washington? Jeff and MacKenzie Bezos have announced a new foundation that will funnel $2 billion into nonprofits working with homeless families as well as create a network of preschools in low-income communities. The founder of Seattle-based Amazon, Jeff and his wife created the Bezos Day One Fund, named after the company’s first building in what is now one of the largest business campuses in the United States. The fund will make annual awards to organizations that do needle-moving work to provide shelter and hunger support to address the immediate needs of young families, the couple announced. The fund will also oversee the operation of a network of full-scholarship, Montessori-inspired preschools in underserved communities, said Bezos. More than a year ago, Bezos asked the public for ideas for philanthropic initiatives. Jeff and MacKenzie join Bill and Melinda Gates in an elite club of Washington State billionaires who are using their fortunes to tackle global health, education, homelessness and other important issues. 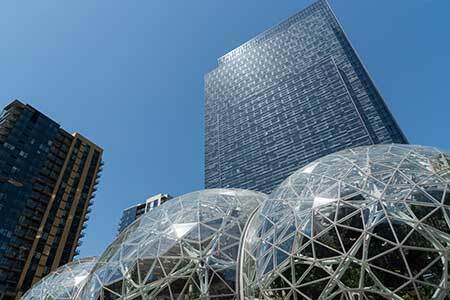 Before this major announcement, Bezos had made smaller donations to the Fred Hutchinson Cancer Research Center and, of course, Mary’s Place, which will be getting a brand new shelter as part of Amazon’s newest skyscraper under construction. Bezos comes from a family of philanthropists. His father and mother, Jackie and Mike, run the Bezos Family Foundation, which is focused on education. Read more about the new foundation in The Seattle Times.